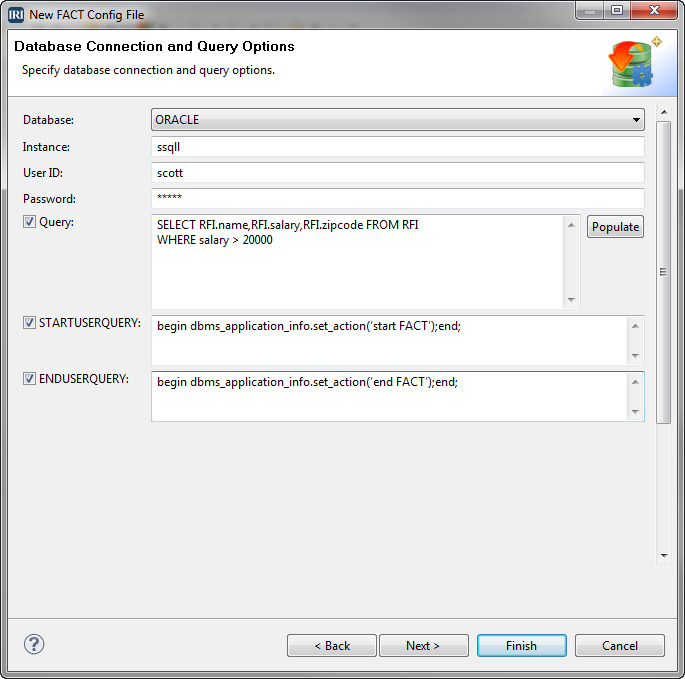 After IRI FACT is installed on your server and the appropriate environment variables are set up, you should then connect to your database in the Data Source Explorer view in the Workbench through JDBC. That driver is only used for visualization and metadata exchange, not data extraction. With that done, you can also make use of powerful, built-in data data discovery tools to help you determine which tables and columns to extract with FACT (vs ODBC*). The free Database Profiler and/or ER Diagraming tools in the IRI Workbench are in the Data Discovery toolbar menu. You should then be ready to create the FACT job using the FACT Config File wizard in the IRI Workbench. * ODBC data movement is also supported in all IRI data manipulation, migration, masking, and management software.